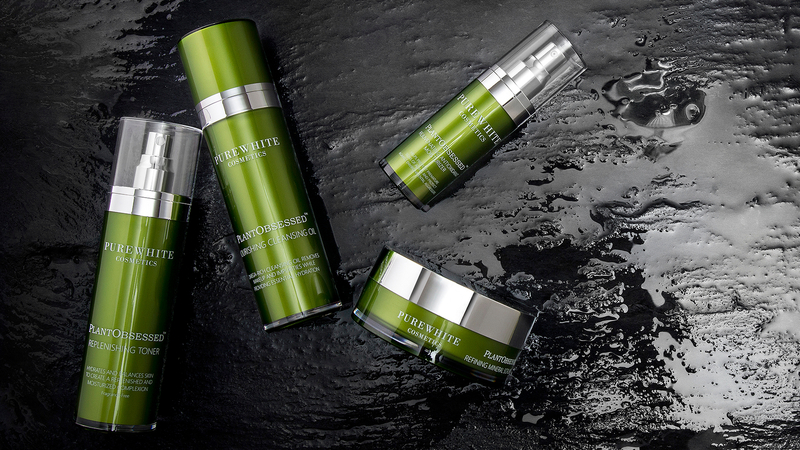 What happens when you pair the skincare expertise of Pure White with over 50 high-performance botanical ingredients? The result is the highly effective PlantObsessed™ range – a collection of four luxurious products combining the very best in all-natural skincare with an exclusive luxury experience. The collection consists of four products that have been specially formulated to treat distinct concerns, from the appearance of wrinkles to redness reduction, nourishment and firmness to give you a visibly smoother and younger-looking complexion. The PlantObsessed™ treatments made with the finest and most potent natural ingredients and harness the healing power of nature to address the visible signs of ageing, and help keep your skin looking healthy and radiant. Its custom blend of pure and powerful botanicals loss of firmness and elasticity so you can experience radiance at any age. 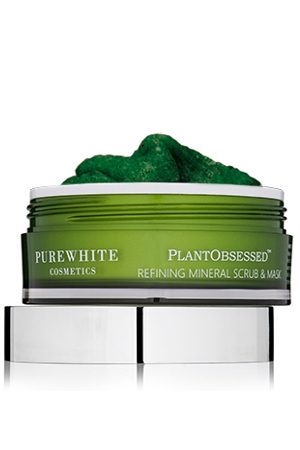 The luxury of PlantObsessed™ is evident in the choice of highest quality precious ingredients within. Subscribing to the philosophy of quality over quantity, Pure White designed its PlantObsessed™ regimen around four essential masterpieces. 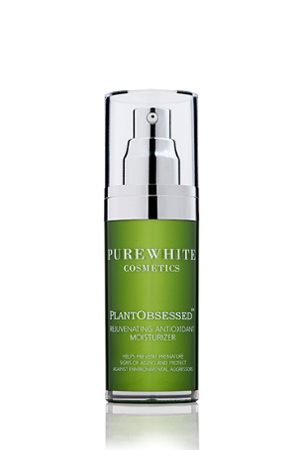 Used together as a luxurious four-step daily skincare ritual, Pure White’s PlantObsessed™ can reveal your skin’s miraculous transformation, delivering velvet smoothness, taut firmness, radiant luminosity, translucency and rich hydration – without a single drop of synthetic chemicals. We are honored to debut these beautiful products, and hope you love it! Let us know if you have any questions at all in the comments below, or @purewhitecosmetics on Instagram. A two-in- one makeup remover and cleanser that tackles even the most stubborn mascara and delves deep into pores to remove impurities. The lightweight consistency leaves skin feeling silky soft and smooth. Contains a beautiful blend of organic nourishing oils like Sweet Almond, Safflower, Macadamia and Grape to cleanse the skin’s surface and renew the complexion, leaving it healthy-looking and refreshed. Ideal for all skin types, the non-greasy texture leaves skin feeling soft and supple and looking healthy and radiant. A little spritz goes a long way! The Replenishing Toner is an indispensable step in your daily regimen, which goes above and beyond by helping prepare skin, maximizing the benefits of the serums and moisturizers that follow and restoring radiance. It features powerful botanicals to hydrate and balance normal to oily skin to create a replenished and deeply moisturized complexion after cleansing. The formula combines refreshing Peppermint, and shoothing Melissa destillates with essential vitamins and plant extracts to help clarify and hydrate skin by locking in moisture—skin appears supple and revitalized over time. It is a two-in-one refining exfoliator and nourishing mask that draws out impurities and removes excess oil and shine. The super-fine, creamy-smooth, mineral-packed Clay and Spirulina powder formula infused with nourishing oils slips on like silk and rinses off effortlessly. It refines and refreshes as it frees skin of flakiness and roughness with powerful olive seed exfoliating beads. Blackheads are removed and pores look refined for a soft, smooth complexion. The Rejuvenating Antioxidant Moisturizer is the crown jewel of our PlantObsessed™ collection. This ultra-hydrating formula helps prevent visible signs of aging, while protecting skin from environmental aggressors including infrared rays and pollution. Blended with the finest skin loving seed oils, like Pomegranate, Sea Buckthorn or Grape, refining botanical extract, and plant-derived antioxidants, this formula provides hydration and protection to the skin for a visibly younger, softer, and healthier-looking complexion. Omega-rich oil removes makeup and skin impurities while providing essential hydration. Creamy-smooth, mineral-packed two-in-one refining exfoliator and nourishing mask. Hydrates and balances to create a replenished, deeply moisturized skin after cleansing. Helps prevent visible signs of aging, while protecting skin from environmental aggressors.